The Norwegian government announced last week the winner of the Memorial Sites after 22 July competition. 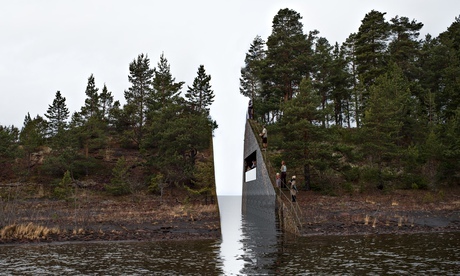 The winner is Jonas Dahlberg of Sweden who has designed three innovative memorials to commemorate the 22 July 2011 massacres in Norway. The most stirring of the 3 memorials is the highly successful memorial landscape called Memory Wound. 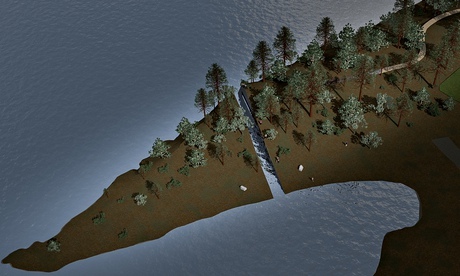 It will be an 11-foot gap literally cut through the Sorbraten peninsula. Memorials Gardens have a particular resonance for me. 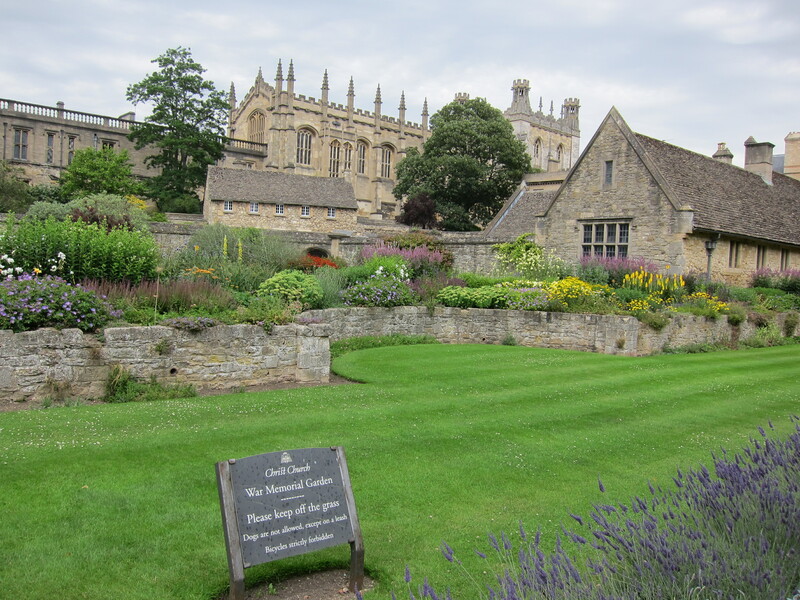 It was a Memorial Garden, the one pictured here, at Christ Church Oxford, that introduced me to garden history. I have always liked gardens and been aware of them. But until I walked across the War Memorial Garden at Christ Church for the first time I had never considered the story behind the creation of a garden. There is something evocative in the simplicity of the Christ Church War Memorial Garden. It caused me to stop and ask why? Why was a garden built to commemorate a war? I have been asking this question ever since, and, hopefully, will explore it with you in the ‘pages’ of this blog. In the meantime, it is Memorial Day in the USA, a whole day devoted to commemoration. I have never found this day, with its barbeques and beach trips and retail sales, to be conducive to the contemplation of commemoration. A whole day dedicated to memory cannot achieve the serenity of a few minutes spent in a well-intended memorial garden. In November 2011, UCLA announced plans to sell the garden, citing rising maintenance costs, deferred maintenance, and lack of attendance due to limited parking. The sale of the garden is estimated to generate approximately $5.7 million, which would be used to fund core academic programs. This could happen as early as February 2012. This decision follows a 2010 court decision that allowed UCLA to remove the “in perpetuity” requirement included within the original donation agreement for the garden in 1964. In mid-January UCLA began removing artifacts from the garden in anticipation of selling the site. The University of California, Los Angeles (UCLA) is in the process of listing for sale its Hannah Carter Japanese Garden in Bel-Air. The one-and-one-half-acre hillside site could conceivably be redeveloped for a single-family residence, destroying the garden. Currently UCLA is not planning to sell the garden with any protective covenants or requirements calling for it to be maintained or preserved. As a public institution, UCLA is required to accept the highest bid. Constructed between 1959 and 1961, the one-and-one-half-acre hillside garden is among the largest and most significant private residential Japanese-style gardens built in the United States in the immediate post-world War II period. Named after the wife of Edward Carter, chairman of the Regents of the University of California who donated the garden to the UCLA in 1964, the garden was originally created by Mr. and Mrs. Gordon G. Guiberson following their travels in Japan in memory of Mr. Guiberson’s mother. Inspired by the gardens in Kyoto, the UCLA garden embodies a rich legacy of Japanese landscape design. The landscape was designed by Nagao Sakurai, a noted landscape designer who planned the Imperial Japanese Gardens for the Japanese government at the Golden Gate International Exposition in San Francisco and World’s Fair in New York in 1939. Many of the carefully sited rocks, water basins, stone lanterns, carved stones, and pagoda were selected by the Guibersons in Japan and shipped to California. The main gate, garden house, and family shrine were made to order in Kyoto, dismantled, and reassembled at the garden by Japanese artisans. After damage from a mudslide in 1968, Koichi Kawana, a member of the UCLA facilities staff and later a leading designer responsible for several important gardens throughout the country, rehabilitated the garden. While the garden is predominantly inspired by Japan, it also features a Hawaiian garden with tropical plants and waterfalls, and reflects the influence of its Southern California location. It is important that UCLA hears from those concerned about the future of the garden. Please take a moment to write to both UCLA Chancellor Gene Block and the University of California Regents and urge a halt to the garden’s sale and the return of the objects. Ask that UCLA work with the Coalition to Save the Hannah Carter Japanese Garden and other interested organizations and individuals to secure a public-private partnership to maintain and operate the Hannah Carter Garden for future generations to both learn from and enjoy. Please send a copy of any correspondence to info@hannahcarterjapansesgarden.com.